If there is one product that harkens back to the olden days of being a man, its going to be a shaving soap. A classic product that has been around for several years, shaving soaps are able to provide a great lather and lubrication at an incredibly affordable price. To understand shaving soaps fully, we here at Tools of Men have spent countless hours pouring over all the different types of brands on the market at several different price points in order to determine which one deserves the title of being the absolute best shaving soap for you. To summarize our findings, we put together an easy to read table below that should be able to help you out in determining the best shave soap that will meet all of your expectations. 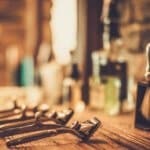 Before a decision is made on the best shaving soap for you morning shave, its critical to understand a bit about the product in order to make sure you don’t waste your money, and most importantly, find one that will suit you the best in order to deliver a high quality performance as we have highlighted in our detailed guide below. In every product category there is always a company that will market themselves to the budget minded consumers. In the case of the shaving soap category, that budget company will be Col. Conk’s. Before we dive into the actual performance aspect of the review, its important to fully understand the difference between a triple milled soap and one that is largely comprised of glycerin (like Col. Conk’s). When you see triple milled on the side of some of the popular shaving soaps packages, it means that the soap was initial poured into a bar, then ran through a milling process (essentially grinding the soap to tiny fragments) three times in total. After the soap has been milled three times over, it is then stamped and pressed into the mold that is then packaged up and sold in stores. This incredibly dense bar of soap will last much longer (typically around 4 months with daily shaving). Furthermore many wet shaving enthusiasts believe that triple milled soaps also deliver a much richer lather that is incredibly slick. On the opposite end of the spectrum, you have a glycerin based shave soap, like Col. Conk’s which doesn’t go through a milling process like the more expensive shaving soaps. Instead the ingredients (listed to the left) are melted and mixed together and poured into a mold. We’ll touch more on the ingredients in a bit. The manufacturing process for a glycerin base soap is incredibly efficient and cheap. Therefore allowing manufacturers to offer rock bottom prices when compared to the triple milled counterparts. Being that glycerin soaps are not nearly as dense as their triple milled brethren, wet shavers will typically run through the glycerin shave soap at a much faster rate (typically a month or two). This quicker burn rate of the soaps actually negates any savings realized when passing on the more expensive triple milled soaps. While the low price point for this product may seem really attractive, keep in mind that you will be using likely 3 times the amount making it just as expensive as a luxury triple milled soap. Regarding the packaging for this product, unlike say the Proraso or other shaving soaps which you can use the bowl that it comes in, you will need to transfer this to a shaving mug or scuttle (an old coffee mug will suffice). In order to transfer this soap to a mug, its recommended to melt down the soap and pour it into the container which you plan on storing (or simply placing it into the scuttle and placing it into the microwave on a very low power level setting works well too). Once fully hardened into the container/mug of your choice, loading this soap onto your shaving brush will take a bit. A typical load time for this soap given the right firmness applied with your brush and speed of your rotation will be about 2 minutes total, which is considerably longer than some of the traditional shaving soaps on the market. A bloom before your brush loading may help to speed up the process. Once your brush is adequately loaded you can either mix it in a separate scuttle, hand, or directly on your face. If its your first time loading and building up a lather, we recommend using your hand so you can closely examine the richness and peaks of the lather before applied to your face. A drawback to the glycerin based soaps is that they tend to run a bit dryer and may need to be re-lathered if you are taking up to three passes when doing your shave. The lack of ingredients listed in this product is a concern. Typically at Tools of Men we never recommend products unless the ingredients are explicitly listed on the side of the product. On the front of the package it simply states that it contains Avocado and Vitamin E oils. Through our research we did find one wet shaver claiming that they had a list of the ingredients provided by the company. We went ahead and added it to the left and will amend the review should we learn otherwise. For this prospective ingredient list, the most concerning ingredient is Sodium Lauryl Ether Sulfate (SLES) and Fragrance (Parfum). SLES can cause some irritation in people after prolonged use. With Fragrance (Parfum) its actually composed of up to 3,100 grouped under the generic label, therefore there can be suspect chemicals within this bucket. The Bay Rum which is the product review for this post, smells like an old fashioned barbershop and isn’t too over powering. Therefore if you want to couple this shaving soap with a cologne you should be safe. However given that its more of a “manly” scent, this shaving soap isn’t unisex friendly. Long term storage of glycerin based soaps is no different than your triple milled soaps. Simply keep it in a cool dry place (typically not in the bathroom) to prolong the use and retain its integrity. If your techniques are spot on you should have a lather that is still rich while providing a great cushion. The slickness of this product can vary, however it seems it might be a little bit more dryer than some of the triple milled soaps. Col. Conk’s can be used safely with all popular shaving blades including cartridge, double edge safety razor, and straight edge razors. For this product and all shave soaps in general, a shaving brush is required in order to use this product. We do highly recommend that you melt down the soap and pour it into a separate mug for storage. Dive into the world of West Indian Lime, Moroccan Myrrh, and Indian Sandalwood with the Crabtree and Evelyn soap. Each one of these scented shave soaps are available in a beautiful Teak wood bowl that makes the wet shave experience all the more enjoyable. While you can purchase this product online for around $25. That’s a steal of a deal! However, regardless of whether or not you get a sale on this product, purchasing it for anything more than the bowl may not be worth your money. The reason behind the previous statement is in regards to the lather produced by this shave soap. Unfortunately, lather is hard to coax out of the product and what lather is produced falls short of many customer’s expectations. Because of the weak lather and large bubbles, razor glide is average at best and may result in more frequent nicks and cuts. Those who prefer a rich, smooth lather will want to consider this carefully before purchasing. Two of the best aspects that Crabtree and Evelyn’s Shave Soap has are its scent and refill options. Each of the fragrances available in their shave soaps are frequently enjoyed by customers and are reported to not be overwhelming. Infused with Vitamin E and essential oils, the soap smells nice and is beneficial for your overall skin health. The refill options are excellent for those who truly enjoy using the Teak wood bowl included with the initial purchase of the shave soap. While Evelyn and Crabtree Shave Soap is available in great scents with an awesome wooden bowl, it may not be worth the money if you can’t look past the lack of lather and large bubbles this product produces. If you are looking for a shaving soap that has variety and class, then you will want to check out eShave products. 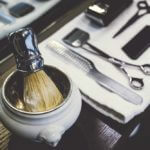 This company has taken the wet shave seriously and not only offers an assortment of scents to choose from, but also a variety of shaving bowls! For someone who likes to mix things up, all of these selections will keep you on your toes. eShave offers three different scents: Mandarin, Lavender, and Avocado Oil with Linden. Each of these fragrances are subtle and pleasant without any overpowering qualities. To top it all off, there are three different colored shave soap bowls to mix and match your soaps with; available in Nickel, Gun Metal, or Gold plated metals. Each refill for the bowl is $26, completely Paraben free, 100% natural, and contains no added SLS, SLES, or animal ingredients. That’s already quite impressive in and of itself! Besides the soap’s aesthetic qualities however, it also produces a wonderful lather. This is due to the extra-rich vegetable glycerin used. The best results are seen when the soap is used with a badger hair brush and warm water. With the lather coating your face, there will be nothing but smooth shaving from there. Your skin will feel hydrated and refreshed thanks to the shea butter and avocado oil that can be found within the product’s ingredient list. Without a doubt, eShave provides the best shave for your buck when it comes to purchasing a skincare product. Each of their items are kept green by using minimal biodegradable packaging when shipping, so that you receive the best quality products for your skin; all why keeping the earth healthy. 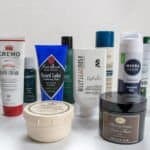 The lack of harmful ingredients and ability to customize your shaving experience are very worthwhile when choosing the best product for your shaving routine. This Austrian soap company specializes in natural soaps made with real, natural ingredients. For this soap, the ingredient of choice comes from sheep. 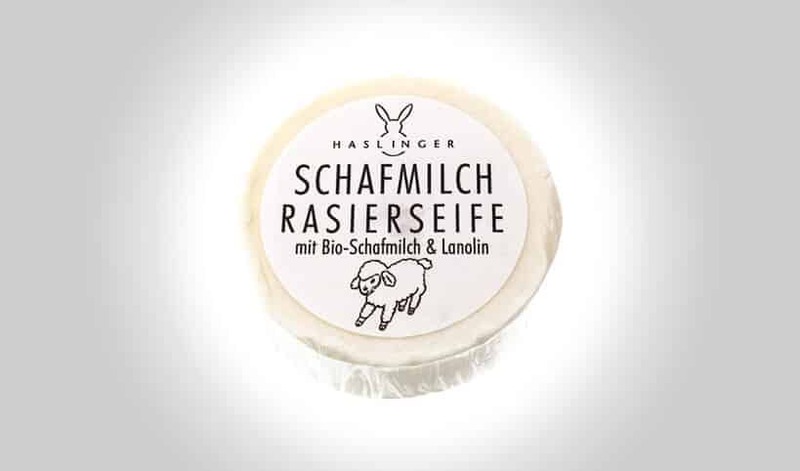 Sheep’s milk (schafmilch) is a natural additive that aids in the moisturization of the skin, as well as a whole host of other added benefits. 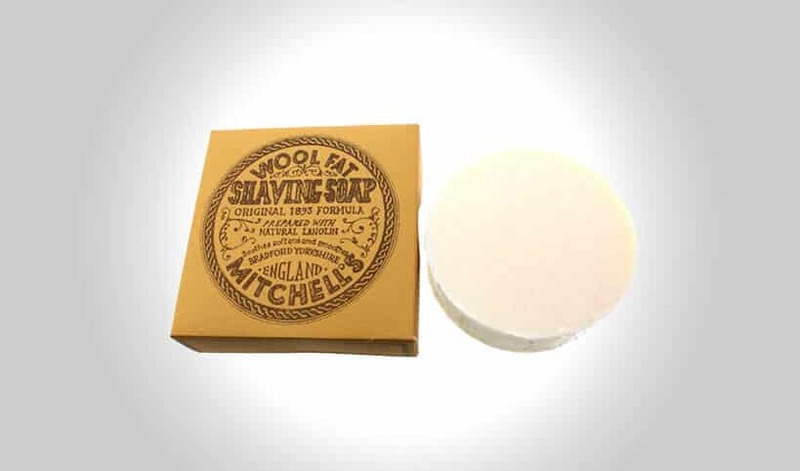 There is also the ingredient lanolin, a wool wax product used to help the soap keep its shape. For the closest natural shave, this soap certainly does the job well. This sheep’s milk soap doesn’t have a strong scent, though it does have some fragrance attributed to it. It is pleasant to wear and even better to shave off of your face, and it results in a smooth, luxurious shave comparable to silk. Despite being made with natural ingredients, it produces a good, thick lather, which is ideal for cutting through thick, unruly beards. Even if you just want to trim and shape your facial forest, you can use this soap to adequately tame your stray hairs back into check. After using this product, you will want to throw out your old shaving soap and creams. This is the soap to use if you want a nice smooth shave every day for the next several months; there is more than enough product in here to last you a good long while. By using a bowl, a bristly brush, and some swift swirling action, you are ready to apply the essence of the Austrian countryside on your face. For this product, you may need a stiffer brush to really get a lather going, but once you do, it is easy to apply and then shave off. Do you need a long lasting shaving cream that doesn’t dry out after only a few minutes? The Henry Cavendish formula guarantees against this, providing you with a wet, luxurious lather all through the shaving process. Your face will be so smooth, comparing it to a newborn babe would be an insult. This lather is as thick as it is creamy, and you won’t regret throwing out your old drugstore brand soaps and creams after one use with this Himalaya shaving soap. This soap has natural ingredients, and virtually no scent attributed to the lather. Fragrances can be distracting at best, and downright irritating at the worst. There is nothing worse than lathering up for a shave to find that you are sensitive to the fragrance used. This soap is safe for use on sensitive skin, as the oils and main ingredients are all derived from nature. You can enjoy that close shave without the bumps, cuts, and nicks. The lather is nice and thick, ensuring a smooth glide of the razor the first time, and every time after that. Though it’s creamy like butter, it certainly doesn’t leave your face oily, and in fact the ingredients put those nutrients back into your skin. The lather also does not dry out while you are shaving, unlike cheaper made soaps. This is especially good for beginners who may not yet know their way around the wet shaving process. It gives you more time to process the art of the wet shave. While this soap is a little more expensive than competing brands, the quality of this soap and the closeness of the shave will speak for itself. Any wet shaver knows that besides the kind of blade you use, your choice of soap can make or break your shave. That’s why the Lather & Wood sandalwood shaving soap is a prime choice for men using this technique to touch up their beard. It is made with many natural ingredients such as sandalwood, shea butter, and coconut oil, and everything put into this soap aids in your overall skin health. The lather is thick, and ensures that you have a clean shave every time you shave. It’s also very long lasting, and doesn’t dissipate in the bowl. The ingredients are the most important part of any soap, and Lather & Wood uses some of the best ingredients available for your skin. Shea butter and coconut oil are very important for your skin, as they put in important vitamins like A and E that contribute to your skin’s softness. The coconut oil also allows your razor to glide effortlessly over even the coarsest hair, which results in a razor-bump free shave. Tallow, or animal fat, is the main component of this soap, and it helps the soap maintain its shape, but it also contributes to silky smooth skin after the shave as well. The sandalwood fragrance is defined as being very manly, without being aggressively overpowering. The result after your shave is a lingering scent of an exotic place, and that scent is very appealing to both men and women alike. After using this soap, it’s almost guaranteed that you will have found a new favorite. From the start of the shave to the lather, to even the day after the shave, you will experience a closeness like no other. A close shave is important for many men, but often times shaving soaps don’t give enough of a lather, or they are too harsh on the skin. This completely natural shaving soap by the Men’s Soap Company seeks to change those problems. This soap is perfect for all skin types, as it doesn’t contain harsh chemicals or parabens, so it can be used on even sensitive skin. The thick, creamy lather is soothing on the skin, and ensures a closer shave than if you use other shaving soaps or creams. This soap has other added benefits besides being luxurious to shave with. The natural ingredients all contribute to the overall health of your skin; the addition of shea butter and soy are great for softening up your skin, making it firm, but soft. The natural plant ingredients put back much needed vitamins into your skin as well, such as vitamins A and E. The result is a shave so smooth, you’ll have to touch it to believe it. The all natural shaving soap achieves a lather very quickly in about 15 seconds. The scent is very masculine, a Himalayan mountain scent that is pleasant without being overpowering. The lather is very thick and creamy, but it does not clog up you razor, so you can effectively rinse off your blade after each pass without needing to also brush out lingering hairs. There is less mess to clean up, and your blade stays cleaner for much longer. This product works, and the reviews are outstanding. For natural shaving soaps, this is the way to go if you want a soft, smooth, handsome shave. This is one of the best shaving soaps on the market today, not just because it is fairly inexpensive, but because it works. This shaving soap is made from wool fat, a softening agent used in some natural soaps to increase softness of the face. This soap has little to no scent attributed to it, which makes it great for people with fragrance sensitivities. For those with extra-sensitive skin, this soap does not seem to aggravate even delicate skin. You will enjoy the softness after every shave; this shaving soap allows you to get a closer than every shave as the thick lather contains ingredients that allow the razor to glide over hair as though it wasn’t there. These ingredients include glycerin and tallow, both of which have additional uses in the shaving soap, such as leaving your skin very soft to the touch. This soap, while not made with 100% natural ingredients, is still ideal for those who want a more subtle and less irritating shave. Reviewers do not report any razor burn or bumps, and fewer nicks and scratches than other competing soaps. It is one of the best selling shaving soaps because of its performance. To use, simply wet the soap with warm water, let it sit and warm up, then lather with the brush. Once you have a good, strong lather going (which shouldn’t take more than a few seconds), liberally spread it on your beard. After that, you are good to begin shaving. You may notice that you brush your razor off less, and your blade comes out clean after every stroke. This is what Mitchell’s shaving soap does – it works for you. While a solid shaving soap is great for at home, it becomes rather cumbersome to carry with you while traveling. You need to get a whole other container to pack your shaving soap in, along with the rest of your beard care products. 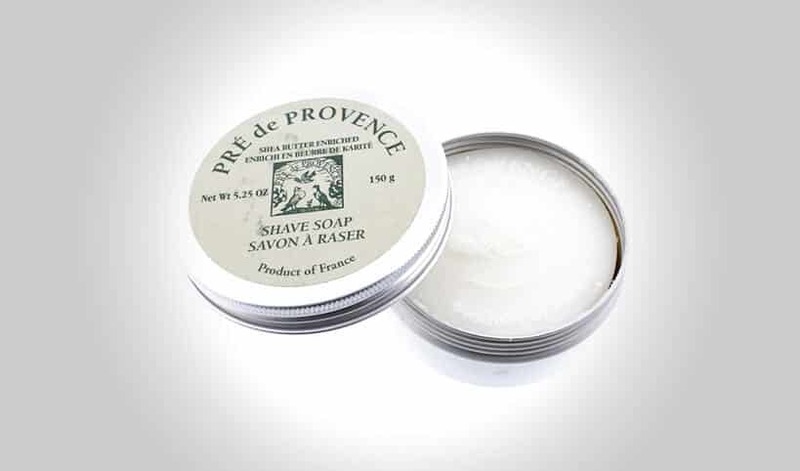 Pre de Provence has a shave soap that comes in a tin, and while it has less soap all around, it is more convenient for home use as well as for travel. Take your soap wherever you go, without having to worry about it spilling out all over your bag. This soap contains numerous skin healthy ingredients like shea butter, which aids in making your skin soft and smooth. The ingredients in this soap also contribute to a thick lather and a smooth, hassle-free shave for weeks of use. While the tin is small, there is a lot of soap contained within, and you won’t be running out any time soon. There are some ingredients in this mostly natural soap that may cause some unintended reactions. However, none of the ingredients listed in this soap should have adverse effects on your health. For men with sensitive skin, there may be some irritation, but otherwise it is safe to use. Many reviewers love this soap for the lather, but the trait that stands out the most is the scent. It has a mild herb scent, one that is barely there, but still noticeable. It is fresh and clean, and while it doesn’t leave your skin tingling, there is a definite feeling of freshness that lingers for days after the initial shave. Much like the Taylor of Old Bond Street shaving cream, Proraso’s line up of shaving soaps are among the most popular shaving soaps on the market today. Having been founded by Ludovico Martelli in Florence, Italy nearly 90 years ago, Proraso’s shaving soaps and creams have set the gold standard that other shaving creams have been measured against. With so much experience on Proraso’s side, how do they measure up to the more boutique and artisanal brands of today? Generally they do fairly well. Creatively enough the colors also make up the same as the Italian flag – where the product is still manufactured to this day. Regarding the composition of the product itself and the ingredients to make this shaving soap, many are shared with other popular shaving creams on the market today. One product that stands out to us is Sodium Lauroyl Sarcosinate – not to be confused with SLS (Sodium Lauryl Sulfate). While both products may be surfactants thats the only attribute they share (along with the same initials). Sodium Lauroyl Sarcosinate, which is in Proraso, is safe for use in cosmetics and is a cleanser and foam booster wear as Sodium Lauryl Sulfate (SLS) is a cheap detergent that can actually penetrate the skin and circulate in the body for up to five days. Therefore there is a lot of misinformation online stating that Proraso contains SLS (Sodium Lauryl Sulfate), which is simply incorrect. If there is one ingredient that is subject to much debate its the addition of Fragrance (Parfum) within the bowl. Fragrance can actually be comprised of over 3,100 ingredients/chemicals (source)! Leading to many questions of what type of trace elements are actually contained within the product. Being that Proraso (green) has a heavy menthol scent, we found this to be quite odd given that the product already contains Menthol. Therefore we are unsure what role this ingredient has within the product and the scent that its trying to achieve. Regarding the performance of this shaving cream there are few techniques to follow in order to achieve optimal results. When it comes to this shaving cream when compared to others (namely Taylor of Old Bond Street), its a bit on the dryer side and out of the bowl its pretty firm. Therefore its recommended to let it bloom. Blooming a shaving soap means to fill up the bowl with hot water and let it rest for a couple of minutes (typically you want to take a shower when the soap is blooming). Once a few minutes have elapsed you will want to empty out the water from the bowl* and want to begin loading a damp shaving brush** (optimally you want to have your shave brush sitting in a separate container of hot water for the same time while the shaving soap blooms) with the shaving soap. * Some wet shaving enthusiasts may use this excess water and rub down their face before loading the brush. ** A shaving brush is necessary for this product. Typical load time for this product is anywhere between 30 seconds and a minute. Once you have a nice load in your brush you can either further mix the cream in a scuttle or within the palm of your hand. Directly applying to your face at this time will be sufficient as well. After you have built up a sufficient lather, you can test it by making sure that it has some nice peaks when testing the lather (the amount that the shaving cream pulls away from your face). One thing that you will notice when applying this lather to your face is that it will immediately provide a cooling sensation due to the menthol contained within the product. If there is a area where the Proraso may fall a bit shorter on the performance will be the amount of lubrication it provides. While we can definitively and objectively measure lubrication of a shaving cream, it is however noticeable when compared to other luxury shaving creams. Lastly the cushion of the Proraso shaving soap is adequate in order to provide a comfortable shave. 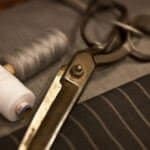 A few notes regarding performance during the shaving process itself. Being that this is a bit of a firmer shave soap and one that tends to run “dry”, you may need to add a little bit of hot water after a few minutes of use. One issue that is reported by wet shavers far and wide is that this shaving cream does tend to struggle in areas where hard water present. However, these men have creatively gotten around this issue by purchasing glycerin separately and adding a few drops to their shave brush after loading the brush. Glycerin is a humectant that will assist your skin in retaining moisture. This addition of glycerin will also assist in preventing your skin from feeling dry after using this shaving cream as men both hard and soft water areas have experienced this problem. Given that the Proraso shaving cream just hardly misses the mark when it comes to providing moisture to your face, for many men, a post shave balm or after shave is often required in order to not experience any sort of dryness/ashyness upon using this product. While many men may feel that a product should often stand on its own and not require additional products in order to enhance its performance – we couldn’t agree more! This shaving cream is incredibly wallet friendly. With a price tag of only $10, its an incredibly affordable shaving cream that can fit anyones budget. You can expect your shaving bowl to last about 4 months with daily use. Lastly, this shaving cream can be used on all razor types (cartridge, double edge safety razor, and straight edge razor). However, it is optimally suited for the double edge and straight edge blades. While this shave soap comes with a hefty price tag, it’s for very good reason. The Art of Shaving is a brand that is well prepared to help both aged and new wet shavers achieve the best shave possible. Their website is filled with helpful tips and tricks to aid you on your shaving journey, and even offers student discounts to make the whole process more affordable for those who need it! There is no doubt that if you purchase the TAOS Soap, you will be happy you did. Not only because of the great customer care, but also due to the structure of the soap itself. Formulated with glycerin and coconut oil, with a lack of harmful ingredients, the soap creates a great lather that protects your skin and allows for a very close shave. Such a lather can be accomplished with multiple shave methods (i.e. soap to face, soap to mug to face). Even with the achievement of a fantastic lather, there is no need to worry about the product running out quickly. A little bit will go a long way, ensuring that you will have plenty shave soap to last quite a while. There is one other little fact that makes this product unique; the wooden box, made from a quality Teak wood, can be refilled! The scent of the TAOS Soap is composed of sandalwood essential oil combined with a slight spicy aroma that is both calming and warm. While the lingering scent is strong, it’s not overwhelming and tends to fade slightly throughout the day. Those who like sandalwood will truly enjoy the woodsy scent of this product. Overall, when purchasing the TAOS shave soap from The Art of Shaving, the only real downside is the price. But when compared to the quality of the ingredients, how long the soap will last you (typically around 9-12 months) and the added bonus of refilling the container itself, the price tag balances itself out quite nicely. Hailing out of Liberty Hill, TX, this glycerin based shaving soap is an affordable soap that competes directly head-on with others in this same space. Unlike the higher end triple milled soaps that command a heftier price tag north of $20, this 3.5oz puck soap retails for $4.99. Which makes it incredibly affordable for any wet shaving enthusiast from beginner to expert varieties to pick up and give it a shot. A few things to note off the bat on this soap – first off the ingredients are a mix bag of really great ones and along with a couple not so good. First off this soap does contain Sodium Laureth Sulfate, or commonly referred to as SLES. If you aren’t aware, SLES is known to penetrate the skin and circulate within your body for a few days. While tests of SLES and its longer term impact on the body appear to be negligible (source 1, source 2). SLES widely used in many beauty products and acts as a detergent and surfactant, as well as a foaming agent. The second ingredient that we noticed on the label was the inclusion of Fragrance. While this may seem like a relatively harmless component of this particular shave soap, the term Fragrance can actually comprise of up to 3,100 individual ingredients (source). Given this obscure information on what is actually contained under the Fragrance umbrella, makes it always something to be mindful of when picking up a new shave soap. Fragrance has been known to be a immune toxicant as well as an allergen within several different studies that can be found with a quick Google search. It wouldn’t be fair to say that this is a problem isolated to strictly Van Der Hagen and any of their shave soaps, as this ingredient is found in so many of the most popular shaving products (we just wish it weren’t). On the flip-side to the SLES and fragrance, we were delighted to see some terrific butters contained within this shaving soap. Noticeably present are the inclusion of shea, mango, and cocoa butters. Regarding the packaging of this product, it does come in a standard cardboard box (pictured left), furthermore its individually packaged within a relatively flimsy plastic enclosure. The plastic enclosure itself is resealable making it a great soap to travel with. However for home use we would definitely recommend transferring it over to a scuttle or shaving mug and storing it separately in there as it will be able to keep longer. First off when it comes to loading your shave brush, it loads rather quickly unlike the other popular budget glycerin soaps. Expect to have your brush fully loaded less than a minute after proper stirring and firmness applied with your shaving brush. Once your brush is fully loaded and you begin to whip up a lather by your method of choice (scuttle, hand, or directly to face), you will notice that for such a low price soap it lathers incredibly well. Providing a terrific cushion that should protect your face and also some nice peaks as well. Some men have noted that this lather may need to be reapplied mid shave in order to keep a thicker lather to provide adequate protection. One part where this soap falls just a bit short when compared to the higher end triple milled shave soaps is that the slickness of the cream just misses the mark. While you shouldn’t necessarily notice any huge performance losses given the dryness of this particular bar, it is important to make note of this shortcoming. To try and compensate for the dryness that you will likely experience a pre shave oil is going to be recommended prior to use. As many wet shaving enthusiasts like to state that a shaving product should stand on its own (which we couldn’t agree more), however a pre shave oil will provide a lot more comfort than just the bar by itself. If pre shave oil isn’t your cup of tea, you could also simply buy a carrier oil and place about a quarter sized amount into the shaving bowl prior to loading the brush. This will help provide a much richer slickness that you would expect to get out of your shave. If you are looking for a recommendation of a carrier oil, we would recommend castor or jojoba as these two are most often found as the primary ingredient within pre shave oils. Carrier oils also act as a terrific moisturizer for your skin as well and provide a plethora of benefits. While we were going over the three distinct butters contained within the Van Der Hagen shave soap earlier, unfortunately post shave your skin will feel a bit on the dryer side. Therefore an after shave balm will help alleviate the dryness as well. Lastly regarding the scent for this shave soap is incredibly hard to try to narrow down. The best way that we can describe it is one that is extremely clean, refreshing, perhaps a bit of citrus notes that are wonderful yet extremely subtle. The scent of the soap is so subtle that it likely won’t linger with you for the remainder of the day. Therefore if you can pair this with your favorite cologne. If you share a bathroom with a lady who also has an interest in high quality shaving supplies, this soap is unisex for both of you to use without one gender feeling to masculine or the other to feminine. Long term use of this product, like most glycerin based soaps, is going to have a short shelf life. Therefore the long term costs (i.e. 6 months) are likely going to equal that of a triple milled soap since you will have to replenish this soap more often. Like all other shave soaps, a shaving brush will be required in order to fully take advantage of this product. You can most definitely use this shaving soap with your cartridge razor, double edge safety razor, and straight edge razor. This tallowate based shaving soap has been around longer than Taylor of Old Bond Street and was developed back in 1840 (176 years ago!). But does this product stand up to quality and gold standard set by Taylor of Old Bond Street? First lets take a look at the ingredients – this soap is a Sodium tallowate based soap – if you aren’t already aware sodium tallowate is created when fatty acid is mixed together with a lye – in most cases is a sodium hydroxide (source). In some instances the fatty acid may be derived from vegetables or animal fat – therefore some tallow based products may be an animal by product. However tallow based soaps like Williams Mug do contain oleic acid, which can do a terrific job in making sure that moisture stays trapped within your skin (source). But all this aside, shaving soaps containing sodium tallowate don’t necessary get bucketed in a specific class of being either a high end or low end product category. However, its important to note that this ingredients is included in the shaving soap. Another standout ingredient, which we touched on previously is the inclusion of Fragrance. Fragrance is a clever way for skin care companies to bucket many trace chemicals within one master ingredient title. Fragrance can actually include over 3,100 separate ingredients! Therefore when we see that a shaving soap includes this ingredient, we always want to make mention as its general recommended to avoid products with Fragrance if possible. As far as the packaging of this shaving soap, being that its an extremely low budget shaving soap, thus the package doesn’t have any bells and whistles. Simply put, the soap is in a small cardboard box. You will have to provide the shaving bowl for this soap. Therefore when it comes to traveling, this shaving soap isn’t exactly travel friendly as opposed to other soaps that come in their own bowl. Regarding the performance of this particular shaving brush, this is where it falls incredibly flat and muted and relies on a lot of other products to help boost its performance. First when it comes to loading up your shaving brush, Williams Mug shaving soap will take some time. Typically with this soap, the average load time is about a minute or so. However, some wet shaving experts were able to get this time a bit shorter. Once loaded, this shaving cream is incredibly difficult to lather, if it does at all. When using this product by itself, the lather is extraordinarily dry and often creates larger bubbles which will likely dissipate rather quickly leaving a very light cushion without much slickness. For the men who like to perform two to three passes with the razor, this will be a tall order when using this shaving soap. Incorporate a pre shave oil: Given that this shaving soap goes on incredibly dry, a pre shave oil containing either castor or jojoba will help with the slickness. With the additional slickness provided by the oils, will give you a much smoother shave that is less likely to cause general irritation or even razor bumps. An alternative approach to the addition of pre shave oil would be to use glycerin instead. Much like carrier oils, glycerin provides that lubricating feeling that will help increase comfort. Simply add a few drops to your shaving bowl and soap before you load the brush. Test test test: Depending on your existing techniques to create a lather, you may need to bend them for this soap. So if you aren’t used to blooming your shaving soap, you may want to consider a lengthy bloom in order to draw out the properties of this soap. In addition to the blooming process, try lathering with the three different methods to see which one yields the richest lather (shaving mug vs your hand vs your face). Prevent post shave blues: Given that this shaving soap is extremely dry, you will also want to use some sort of post shave balm in combination with this product. This will help to prevent your face from feeling dry or itchy as the day wears on. Regarding the scent of this product, its largely a soapy/cleanser smell that isn’t too terribly overpowering that will quickly dissipate as the day wears on. Therefore if you are looking to share a shaving soap with your significant other, this one is neutral without one person feeling either overly masculine or feminine. Lastly, William’s Mug shaving soap can be used on all types of blades including cartridge razors, double edge safety razors, and straight edge razors. As the title implies, there are a lot of options out there when it comes to actually using a product on your face in order to deliver a comfortable shave. While this is a review of the very best shaving soaps on the market, its critical to understand its role in the greater world of products that deliver a comfortable shave, especially given all the options. First and foremost, shave soaps are the quintessential lathering and lubrication method for several generations. 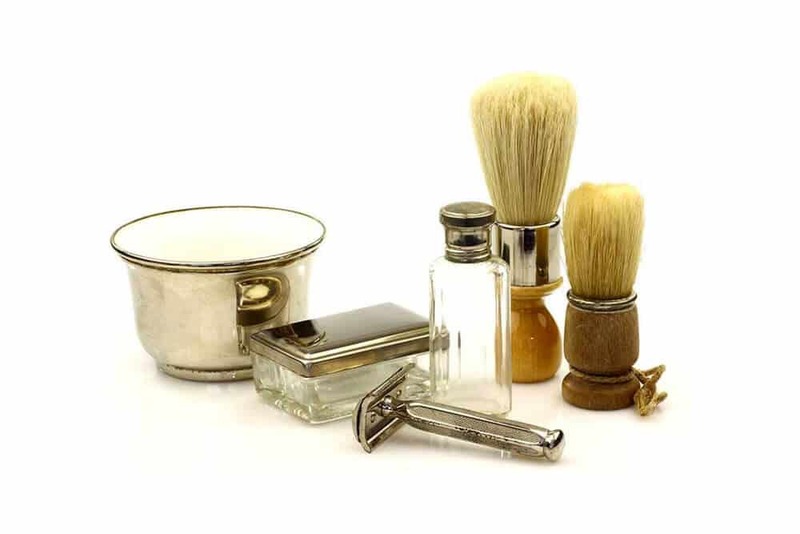 This was the shaving product that your grandfather and great grandfather used on a daily basis (there is even a shaving soap we reviewed that is over 176 years old!). Typically coming in either a wooden or plastic container, shave soaps are like a hockey puck and come in a pretty heavy disk form or are molded to the container they are housed in. On average a shave soap will last you several months of shaving (with daily use). 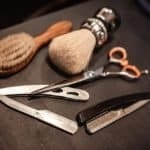 While we will go over proper techniques in just a minute – the biggest determining factor to using a shave soap will be the entire loading and lathering process. Of all the product options available to you, shave soaps, while the most traditional, do take a longer time for prep. Probably one of the most popular products used by wet shavers (straight edge, double edge, and cartridge based) is going to be a traditional shave cream. Now I say “traditional” purposefully due to the compound that makes up this product. Traditional shaving creams come not in a can, but rather in a tube or tub form and are physically similar in nature to toothpaste. If you are a novice wet shaver, most experts would agree that using a shaving cream is preferred over a shave soap given its forgiving nature on generating a nice lather. 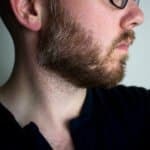 There are even some men who forgo the shave brush and scuttle steps and just simply wet their face and coat their whiskers with a bit of shaving cream and then begin the process. While we don’t recommend doing that, as general skin irritation and razor burn are much more likely to occur, the few extra minutes in the morning should be spent lathering properly (as outlined above). Another point of distinction when it comes to shaving creams, especially when compared to cheap/can style shave creams is that they may often contain beneficial oils within the product. Often you will see on the nicer shave creams the inclusion of carrier or essential oils that deliver all sorts of great benefits. 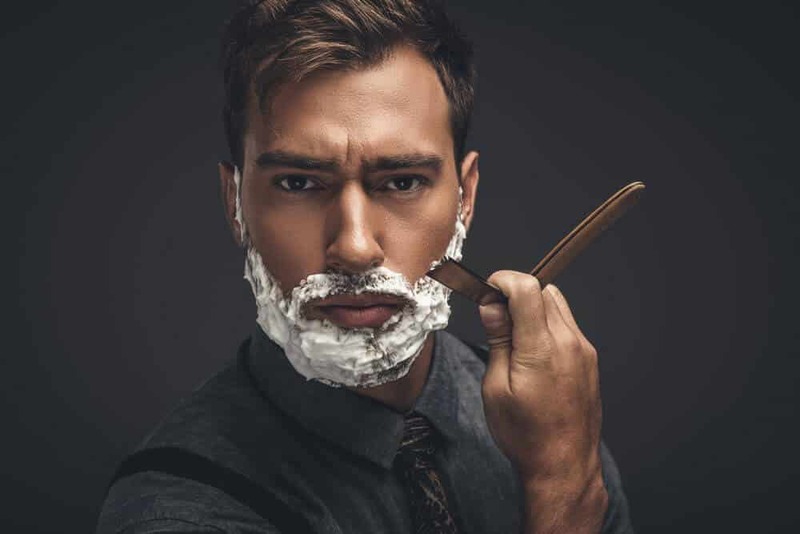 The sole purpose on why men prefer using a quality shaving soap or shaving cream is due to not only their lathering and lubrication properties to ensure a super comfortable shave, but also their moisturizing and nourishing tendencies post shave. After using a shaving soap, your skin will stay well hydrated. This will ensure that you don’t have any sort of post shave ashiness or flaking (especially if you live in a dryer climate). If you are interested in using a shaving cream over a shave soap, we invite you to check out our full review on the best shaving cream. One of the more modern products on the market today will be latherless shaving creams. These products, such as Creamo Shaving Cream or Jack Black’s Beard Lube are designed to specifically be applied directly to your face with your hands as opposed to a shave brush. When applied to your face, these latherless shave creams will leave a very thin, but slippery, line of shaving cream and lubrication. These products are incredibly beginner friendly, especially if you are coming from a background of using a canned shaving cream. While these latherless shaving creams don’t have the suds that many wet shaving enthusiasts are after, they still do contain many of the key carrier and essential oils that will leave your skin feeling and looking its best. As we mentioned earlier, the prep time required for a shave soap is indeed a bit longer than a traditional shaving cream. However, the long prep time of a shave soap shouldn’t overshadow the terrific shaving cream that can be derived from this product. With a few rounds of practice on generating a lather for a shaving soap, most wet shavers are able to generate a lather that is going to have a slicker lubrication that will likely deliver one of the most comfortable shaves of all the products. If you are using a straight edge razor, usually a shave soap will provide the highest level of lubrication to ensure a comfortable shave. Now when deciding on a shave soap they come in a variety of types. Often times you will see some higher end soaps being advertised as “triple milled”. What this means is that when the soap was originally molded, the manufacturer would break apart the soap and run it through a milling process again. Effectively a triple milled soap is one that has gone through the process three times. You see when a soap has been milled over three times, the ingredients that make up the soap become well mixed together of which will deliver an end product that delivers an even better and more comfortable shaves. However with such artistry put into the shave soap, the price is likely to also climb. Therefore for a triple milled shave soap you can expect to pay north of $20 for a single bar. However, as with most shave soaps, they will last for a few months and is usually well worth the investment. Contrary to triple milled soaps, another popular soap type is going to be glycerin based. Glycerin, typically derived from vegetables is a solution that comes in liquid form and provides a terrific lubrication. Glycerin is found in a variety of beauty products as well as food products. This sugar alcohol compound is a natural humectant. A humectant helps a delivering and locking in moisture for your skin. While its typically an underlying theme for shaving in general, the key to a comfortable shave is lubrication, moisture, and heat retention. 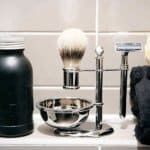 Unlike a latherless shaving cream or the aerosol shaving creams that many men may be accustomed to, shave soaps do require additional products in order to perform at their absolute best. While some men might try to squeak by and not use a shaving brush when applying a shaving cream, that simply can’t be the case with a shaving soap. A shaving brush is required when using this product. Shaving brushes help in many ways besides just simply applying a soap to your face. Shaving brushes help to provide a nice gentle pre exfoliation to your skin that will loosen any dirt or oils that are trapped within your pores. Shave brushes also lift your whiskers on edge allowing for a cleaner cut of the follicle in order to prevent any sort of tugging or pulling on the root of your hair when making the pass with your razor. Shave brushes typically come in a multitude of fiber types, however badger hair is highly preferred among both beginner and expert wet shavers alike. We further outline all the benefits of shave brushes in this post as well. While not necessarily required, if you have to pick up a shaving brush, you should also consider a shaving brush stand. Stands allows your brush to hang dry greatly reducing the occurrence of bacteria growing within the knot (part where the fibers attached to the handle) of the shave brush. Shaving stands also help to maintain the structural integrity of the fibers in the brush. Whether its to soak your shaving brush or your shaving soap, a scuttle is a key component to using a shaving soap properly. While a scuttle is simply a shaving mug or bowl, this is likely a product you have lying around in your kitchen cabinets already and doesn’t require an additional purchase. A simple coffee mug will be more than sufficient in this case. If you do want to have a dedicated scuttle for your soap and brush, we recommend picking up one that is ceramic and will help retain the heat a bit better. Also keep in mind that since this is being used in a bathroom setting, we don’t recommend using a glass in case of an accidental drop. When it comes to selecting a shaving soap, generally speaking the ingredients in most soaps are pretty safe. Usually when looking out for any sort of cosmetic products that you apply directly on to your skin with regularity, you always want to be wary of parabens. 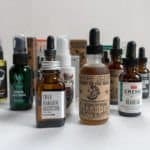 However, generally speaking, parabens have been falling in popularity and are starting to get more rarer in men’s and women’s products alike. While the use of parabens may be dwindling, one ingredient that still is prevalent in many shave soaps (and shaving creams for that matter) is the use of fragrance. Sure the name fragrance may sound pretty harmless and innocent, however its been rated a relatively hazardous ingredient according the Environmental Working Group (8 out of 10). Well the term fragrance is actually a generic term that can actually account for up to 3,100 different types of chemicals. Therefore when you see the term ingredient on the side of a product, its an umbrella term that can mean several different things of which the manufacturer isn’t required to disclose. While just about every shaving product that we come across contains this ingredient, its just worth mentioning that if you find one that doesn’t have it, it may be worth checking out, especially if you prefer all natural products. Lastly, another popular ingredient that you will find in shave soaps is sorbitol. If sorbitol sounds familiar it should, found in many food products as a sugar substitute is also found in your shaving soap. While we don’t recommend eating your shaving soap :-), sorbitol in this case acts as a thickening agent and will help provide moisture. To begin you will want to soak your shaving brush in a hot water for a few minutes. Typically most men will leave it resting in their sink, scuttle, or shaving mug for several minutes while they take their shower. Soaking your brush is critical to the long term health of the brush. Soaking it allows for the hair fibers to absorb moisture in order to deliver a quality lather, but also softens the bristles so they don’t break when loading the brush and ultimately applying the shaving soap. Depending on the shave soap that you own, whether its a single puck by itself or its affixed to a bowl, we would recommend placing a bit of water within the bowl. Or if its a puck, place in a separate bowl and add warm water with it. The key here is to submerge your soap within the water. This process is known by wet shavers as the blooming process. After a few minutes of letting your shave soap bloom and your shave brush soak, you will want to first squeeze out all the excess water in your shaving brush and set it aside. Don’t worry about shaking it out too vigorously as you don’t want any of the fibers to be removed from the knot of the shave brush. With the shaving soap fully bloomed, many wet shavers like to take all the excess water and rub it on to their face as much of this water is mixed with the rich oils from the soap and will provide a great base moisture prior to applying any of the shaving soap yet. Once the water has been removed from both your shaving brush and your soap, you will then need to load the brush. The loading process of the brush can vary depending on the hardness of the soap and how long it had been blooming. To load the brush, just simply take your brush and then turn in a clockwise or counter clockwise motion on top of the puck or shave soap dish. The key here isn’t to create a lather, instead, you are looking to simply get the shaving soap transferred from the soap puck to your brush. A typical load time will take about 30 seconds. Once the brush has been loaded, then you will want to begin applying the shaving soap directly to your face. Initially you will want to go in a circular motion for all the areas that you are shaving for about 30 seconds. The key point to look out for while you lather your face is that you don’t want to have the shaving soap seem dry or tacky. A great method is to add a few drops of water to your shaving brush if necessary (and it likely will be). We like to apply the 30-10-30-10 rule. Run the shaving brush in a circular motion for 30 seconds followed by 10 seconds of painterly strokes. Do this two more times and you should have a lather that is both well moisturized and extremely slick. After your face has been fully moisturized, then you will want to go ahead and make the appropriate passes with a razor of your choice. For any subsequent passes with the razor, your shave brush should have more than enough soap loaded into it in order to provide an ample cushion.